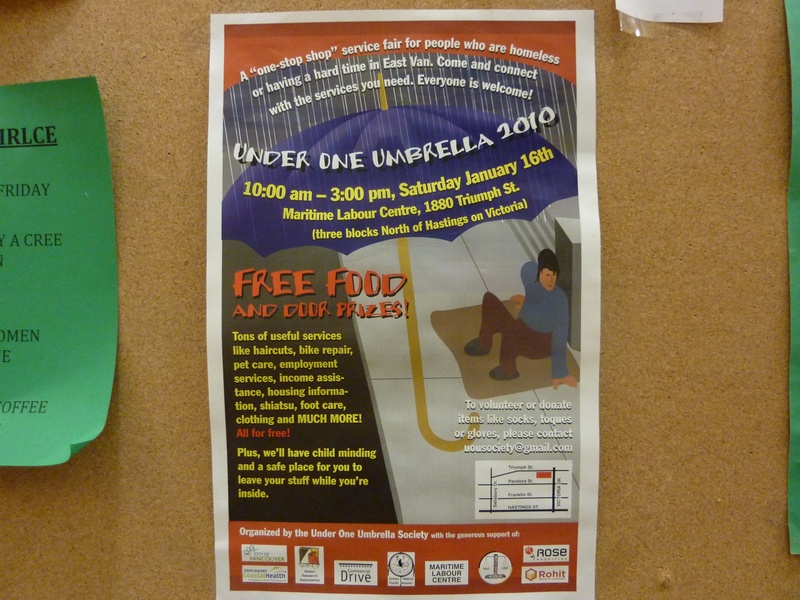 The Under One Umbrella Society (formerly known as the Grandview Woodlands Drug and Alcohol Coalition) is pleased to announce Under One Umbrella 2010, our third annual service fair for people who are homeless or at risk of homelessness in East Vancouver. Please find attached the poster and wallet card for the event. We have printed posters ready to go and will be asking outreach workers in the community to hand out wallet cards during the week leading up to the event. 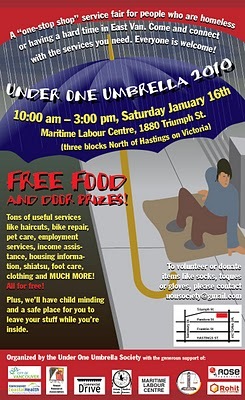 This year’s event will be on Saturday, January 16th from 10 am to 3 pm at the Maritime Labour Centre. We have around 40 service providers booked to attend this year’s event with a focus on direct service provision on site (see the poster for a list of just some of the services that will be there this year). Something new this year is mini skill-building workshops throughout the day. Some examples will be a women’s safety training workshop by PACE, tenants rights workshop by TRAC and an employment search workshop by Pathways. 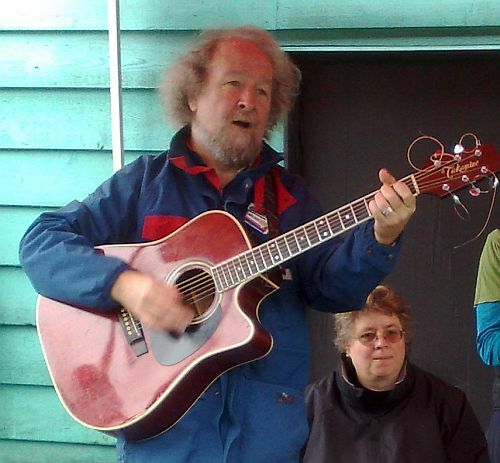 Of course, our event always includes free clothing, lots of delicious and healthy food and entertainment too. ———————————————————————————————————————Famous Jimmy’s Lunch and their burger with onions! All RCMP Musical Ride videos were filmed by April Smith of AHA MEDIA on a Nokia N95 mobile cameraphone. April is passionate and skilled in making Nokia films by exploring mobile media production through the camera lens of a cellphone. For a better quality version of this video, please DM April Smith @AprilFilms on Twitter. “Those Little Donuts are simply irresistible and delicious! Below is a link to where our PNE favorite are now trans-fat-free mini-doughnuts! VANCOUVER – Vancouver is a health-conscious city. Which is why Steve Johnson has chosen our city’s Pacific National Exhibition to unveil a revolutionary advance in fast food: trans-fat-free mini-doughnuts. Playland is fun, games, rides and more snacks ! Below is a photo of a man trying his luck ! Below is Al Tkatch of AHA MEDIA enjoying a large Cotton Candy! 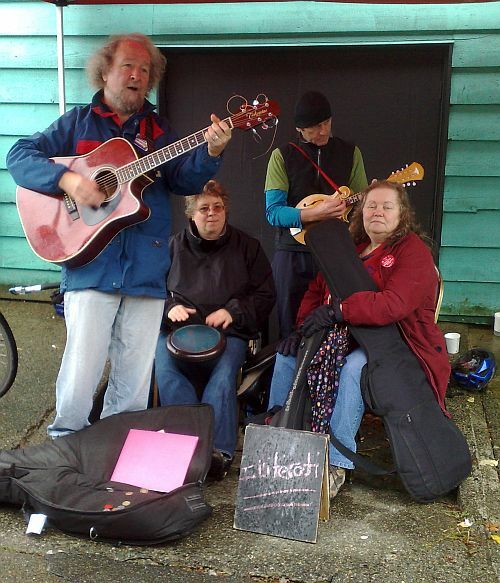 AHA MEDIA is very proud to introduce Alvin Clayton, our newest Vancouver Downtown Eastside (DTES) Community Reporter ! AHA MEDIA is very proud to have Alvin Clayton – a First Nations Nisgaa elder as part of our Vancover Downtown Eastside ( DTES) Community Reporting team. AHA MEDIA is dedicated to helping all our communities become more informed!